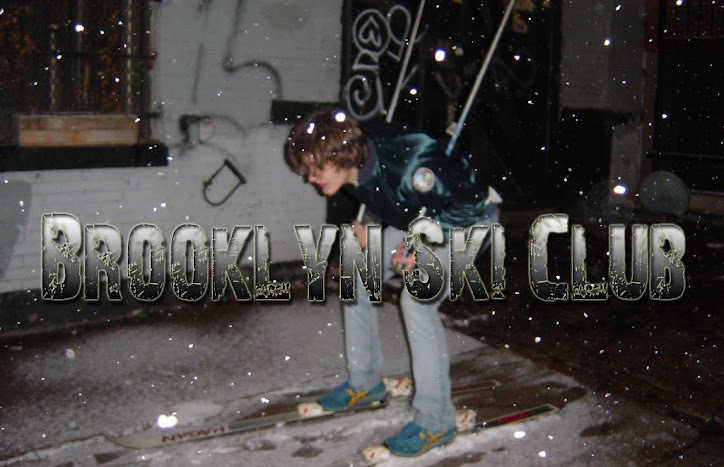 Brooklyn Ski Club: Free Screening: Gorillaz "Bananaz"
Bananaz, a documentary film directed by Ceri Levy removes the virtual walls of Gorillaz, a cartoon band created by artist Jamie Hewlett and musician Damon Albarn. Audiences see just what Ceri Levy saw over some many and varied months of shooting from 2000 to 2006. Bananaz is Levy's story of the partnership and community behind Gorillaz. He takes you on the road with this virtual phenomenon and shows a part of Gorillaz never seen before - reality. Bananaz is an honest, at times hilarious account of the working relationship between Albarn and Hewlett. A free-wheeling film which teams these two likely lads with friend and film maker Ceri Levy. Featuring Damon Albarn, Jamie Hewlett, Dennis Hopper, De la Soul and Ibrahim Ferrer and Ceri's camera. Gorillaz is the most successful virtual band ever, fronted by four wildly talented but totally disparate characters: pretty-but-vacant singer 2D, satanic bassist Murdoc Niccals, Japanese guitar prodigy Noodle and amiable man-mountain drummer Russel Hobbs. Formed in 2000, their eponymous debut album was released to international acclaim and 5 million plus sales. Gorillaz were crowned Best Group at the 2005 MTV Europe Awards and received 5 Grammy nominations and 2 Brit Awards nods. Their second album, Demon Days, has sold 6 million albums worldwide. New Location For JellyNYC Pool Parties Revealed! New Video: Black Lips "I'll Be With You"
Wanna See U2 at Fordham? Get A Fake ID.